You know negatives come in waves - there’s a reason for that. You know, gratitude is a magical thing. It puts things into a greater perspective and allows you to gain expansive clarity on the positives in your life – as opposed to dwelling on the negatives. We all have these undeveloped negatives in our lives but what do they earn you – bugger all, that’s what. Gratitude Is Significant But …. Life sometimes just gets in the way of things. Often, you’re inundated with negatives. You probably remember negatives seem to come in waves too – there’s a reason for that. Frustration, impatience, annoyance, anger – I’m sure you can think of more to add. We’re great believers in an optimistic and buoyant mindset, yet it’s a constant battle for me as well. I’m human, just like you. I get frustrated, just like you and I have negative thoughts, just like you. I prefer to breathe in a positive mindset and balance, as I’m sure you do. Things get in the way and my attitude changes, without me really realising it. I live to make my second wife, Pam Allen, happy, myself untroubled and my family delighted. Sometimes, it doesn’t work out and that’s OK too – we’re all humans. That’s one valuable take-away – allow for errors in judgement and be at peace in knowing you can (and will) achieve better results, the more you practise. But …. we also need to look for ways to keep ourselves on track and in check. This might sound simplistic. It works. The human brain operates constantly on triggers and habitual beliefs. Here’s the trigger I want you to start using. Use it on a daily basis. ….. There are so many small, medium and large things you know you are grateful for. Get cracking on your own list. On a personal level, greater positive reinforcement just makes you happy. Personal happiness radiates like a smile does. You’ll generally find, when you’re exuding happiness, the people around you will unconsciously respond the same. 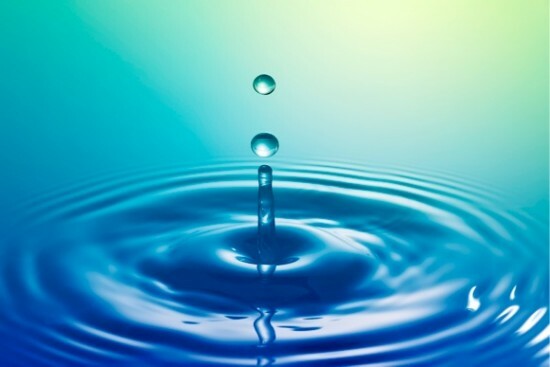 Like a pebble dropped in a pond, those happiness waves will have a domino affect and come back to increase your own levels of happiness. Can you see where this might help your relationship? As a couple, your partner will see visible changes in your well-being. They’ll be far more receptive to conversation. It’s a matter of continually and subtlety retraining your brain to seek what you want. Do you have a gratitude regime yourself? Have you found you get diverted from gratitude? Maybe you have your own suggestions around gratitude? We'll be forever so grateful to hear your thoughts. I’m so glad you found the advice in the post helpful! I think you pretty much hit the nail on the head with you comment. I loved the way you summarized being successful through having a combination of action and the right mind set. I totally agree with you. The great thing about our minds is we can always change our thoughts and attitudes, to help us engage in action that will help us achieve our goals. Things tend to float into our lives at the right time, Shohel. This is another example of it happening in my life. How do you handle gratitude in your everyday life, out of interest? Thanks Martin (The Geek) For Replying My Comments. You Are Right Without Interest Our Life is Not Fulfill. Thanks Again. 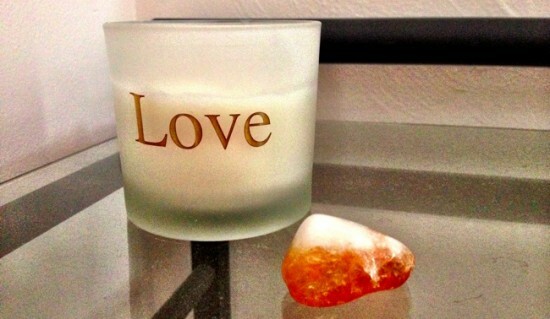 Wonderful post… The gratitude stone is an aspect of the law of attract as well I believe. Glad you enjoyed the post, Mike. Yeah, I used to find it slipped my mind quite a bit too. These days I weave gratitude into my daily meditations and that helps quite a lot, I’ve discovered. You might like to try that technique to help. Great you gained something of value from my humble words, Nathalie. And certainly, when you change the way you think and your mindset, you’ll get a different thought flow that just might help you in your project. All the best with that too. We shouldn’t ever lose sight of gratitude. It’s such a simple thing to give, but it’s so often overlooked. No one is appreciated as much as they should be because sometimes it takes a while for people to remove focus on themselves. We should know where to set our eyes. It’s great to know that life is going good for us, but we shouldn’t ever neglect the people who have helped us arrive at where we are now. A simple smile can make anyone’s day. Thanks for this heartwarming share, I’ll be sure to look for my own gratitude stone soon! What an absolutely wonderful insight you shared, Emilia – never losing sight of the people who got you to where you are now. That’s brilliant! Have you found your stone yet? I have so much to be thankful for everyday and I make sure that I reciprocate this gratitude to those around me. Great share. Thanks heaps for the visit and comment, Don. I’m interested to better understand how you personally reciprocate gratitude – we all do things different in life so understanding your way might just help others in doing it or starting to do it. So come on, share the style, my friend. I wake up everyday with so much gratitude in my heart for being given another day to make a difference in other people’s lives and make my own moments count by striving to exceed expectations in every which way I can. Thanks for giving us your insights through this inspiring post. Great tips on gratitude. People are generally happier when they write a gratitude list everyday. When times are challenging, thinking about what is good in our life can make all the difference. Love your images. Take care. Wonderful to see you here, Cathy. Do you find that you’re able to make a list each and every day, yourself? The way my mind seems to work, that’s something that is usually forgotten since it takes time to write things down. 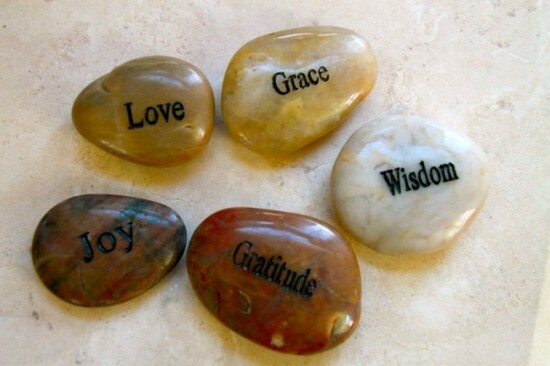 Though a mental list once I see my gratitude stones seems (to me) to give a more instant flow of thoughts and therefore put the gratitude into play, for the rest of the day. after reading this share i realized that we all are living in a rat race, we all are i hurry to complete targets and meet deadlines, that we actually forget to appreciate what we have. We worry about what we aren’t having, what we want to achieve, but in the process we forget to cherish what we already have. Thanks for this wonderful post. It brought that hidden feeling that i had, but was still unknown to me. I will surely practice gratitude. Welcome to the site, Aayna and thank you so much for your thoughts too. How do you think you’ll start with gratitude practice – interesting to hear the way a beginner might tackle it? Gripping share . it is undoubtedly important to add gratitude into your daily life. We often find it hard to appreciate all the wonderful things in our life that as we tend to take them for granted .Would surely like to see that how salutary gratitude stones can be to anchor gratitude . Beginning and ending each day with gratitude can help us to add gratitude into our lives . Welcome Abhishek and thank you for your thoughts. Can you see yourself using gratitude stones for a habit ‘anchor’ or do you yourself use a different method to keep yourself on track? Would love to hear how you ‘do it’ if you could share. The biggest thing that tend to stop people from showing their gratitude is ego. Sometimes also we become lazy in saying a simple thank you to other people. We, humans many a times fail to take inititatives and don’t realise what beautiful memories we can build with the other person just by showing gratitude towards them. That really is a fascinating insight, Joy – thank you sharing that with us. And yeah, the big fat ego is the cause of many of life’s challenges, isn’t it? I know myself, I’ve always got to be on a constant vigil to remain out of ego. So right. It is so important to stay thoughtful of all we do have. All we have to be thankful for. Thanks for the visit and comment, Sam. Now I’m sure as a relationship coach that you must have some solid opinion on gratitude, don’t you? Do you have your own gratitude expression regime? Be great to hear a few words on that, if you’re able. Prayer can be a good way to get in touch with your gratitude. Additionally, positive self-talk focusing on the things you have to be grateful for is incredibly important. We are a product of what we think about so we need to ensure that what we think about is positive, not negative. If one wants/needs to have a regimented way of being grateful, then factor it into your daily routine, like brushing your teeth or having that morning cup of tea/coffee. First thing in the morning and last thing at night are great times to do so. Make a point of saying, “I am grateful for…” regarding three things every morning and three things at night. Go with your gut. What are you feeling most grateful for there and then. When you feel grateful for the things you do have or have had, you enter a positive state of heart and mind. This is the key to creating an internal and external environment conducive to more positive experiences. In my book (Relationship Remedies: Relating Better to Yourself and Others) I talk about the research being conducted by the HeartMath Foundation and it really is very intriguing work that provides evidence of how important your state of mind and heart is to your life experiences. Showing gratitude to someone gives immense internal satisfaction. One should not restrain oneself when it comes to saying a “thank you” or giving a warm hug as a way to reflect it. In your daily life I feel, you meet atleast one or two people that you can express your gratitude to. Appreciating people gets you even more close to them. So one needs to avoid everything that comes in the middle of expressing grratitude to someone. Oh wow, Joy – thanks so much for your visit and comment. Yes, just the mere act of expressing gratitude puts you in a whole new mindset, doesn’t it? What do you think are some of the things you referred to that tend to stop that from happening though? Thank you for your visit and comment, Marty. Yeah, it is important to start with your own gratitude as you’re setting yourself up for the day. That then produces positive vibes from you and affects others, from your own radiance. That can only be a good thing. Do you have your own gratitude strategy that works for you? I love, love, love the rock idea? Did I mention I love it? I will be getting one this weekend and using that idea. I personally just write in the a gratitude journal, but often I get busy, or tired, or whatever excuse I’m using for the day – and, as you said, it would be a great trigger to remember to list out things I’m grateful for! I love the feeling of ramping up my gratitude and this is going to help lots! Thanks so much for sharing! Way cool you’re loving the idea AND getting your own rock. I’ve an iPhone gratitude journal myself. Times get in the way of actually filling it in, I find. The rock just gives me a reminder and boost to allow gratitude into my heart and thoughts. Let me know when you’ve got your G-Rock too. this is wonderful. Chances are the main problem is not that negatives come, even in waves (yes, they tend to do that). The problem is rather that we resist negativity and thus give it power or even increase it. Waves come as sure as they go, fighting them is pointless because they waves don’t care, do they ? It’s kind of swimming with the current without drowning in a sea of negativity. Thanks for sharing your advice, I will give it a try. Some wise words in your comment, Oliver – thank you for sharing and being part of the conversation. Negativity permeates of our lives and it’s become a foundation of our reactions and actions (unfortunately). Better to allow them to float by and focus on the areas that matter and create a better life (and the magic). I think gratitude reaches its peak when you are in big trouble and someone helps you, but soon after that it starts fading away. We just forget why we appreciate the people in our lives and why should we be grateful for what we already have. It’s sad that we always want more and fail in enjoying the many things we achieved. The gratitude when someone helps us is very different to that we give thanks for on a daily basis, Michelle. I do agree the first type tends to wane since it’s a moment in time. The latter type is for all time and an entirely different purpose too. It’s the gratitude you give yourself that allows for magical things to transform you. This is a very inspiring post. Showing gratitude to someone will not only leads to an inner satisfaction but also feel happy about things around and see positive in them. One should just not bring their ego in between that might stop them from showing gratitude. Thanks so much for your comment, Richa. What are some of the ways you go about expressing gratitude? Do you record them as well, like Nancy? If I have to show gratitude to the Almighty, a simple prayer would be a good way. If i have to thank a friend or a relative a warm hug with a sweet smile can do the trick for me and going beyond that sometimes I also prefer to give a small gift or a card that can help remember the moment. These are just some of the ways I usually adopt. Nice to hear you’re on your own magical path when it comes to gratitude. Yeah, I often forget to actually record things myself – which is why I find my gratitude rock helpful in reminding me. Hello There and thanks for coming over to my website – how did you find the Bubble of Hope article that you commented on? 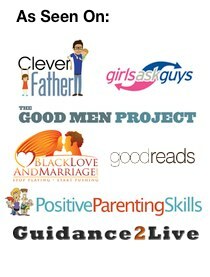 Know that I am grateful for I follow so many wonderful personal development blogs. Now for my practice of gratitude – I AM BLESSED! I do keep a gratitude journal and a good practice would be to write in your journal before you go to bed on the days gratitude list. I live in a state of gratitude, joy and love! I also start my day with I AM statements – powerful! So cool to see you here and your comment too, Nancy. It’s a great way to keep track as well as record images too – I’m a visual guy so that tends to help in the gratitude recall. I’m still of two minds with the ‘I am …’ affirmations though. Can I ask how long you’ve been doing those for? Hello – to answer your question on how long I’ve been doing them – for about 9 or so months – even wrote a blog on I AM statements….thanks for asking! Thank you, Elena. I’ve been meaning to write something on gratitude for a while now. That’s an interesting example you’ve given too. Let me know what you think of this though. Isn’t gratitude for yourself and your direction, mindset and spirituality though? It’s certainly sad if someone passes and they never realized their importance but that’s the expression of appreciation (which itself is definitely a different and powerful force, in itself). It’d never be too late to express gratitude for someone that has passed – for yourself.